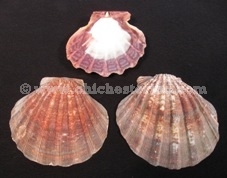 The lion's paw scallop shells are sold by the half shell. They do not come in pairs. 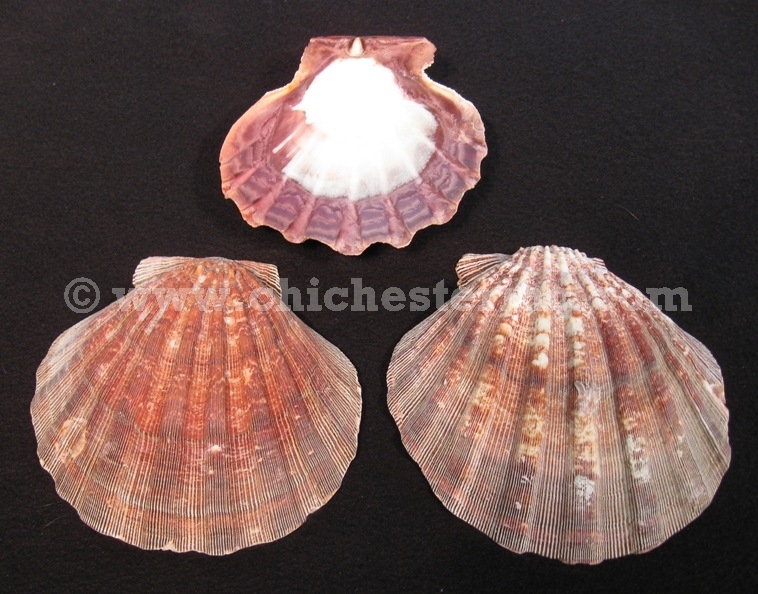 The Natural shells are approximately 6" to 7" long and 6" to 6.5" wide. 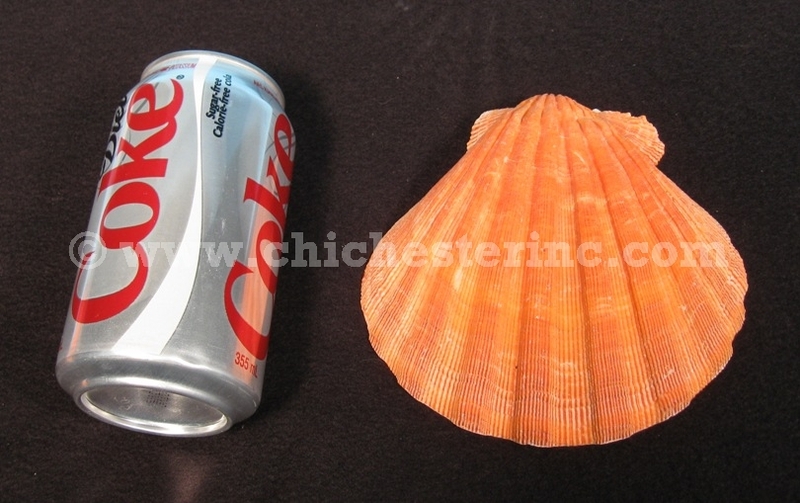 Each half shell weighs approximately 0.32 to 0.52 pounds each. 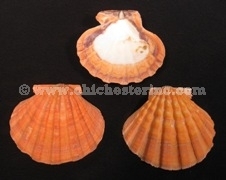 The Orange shells are approximately 5" to 7" long and 6" to 6.25" wide. 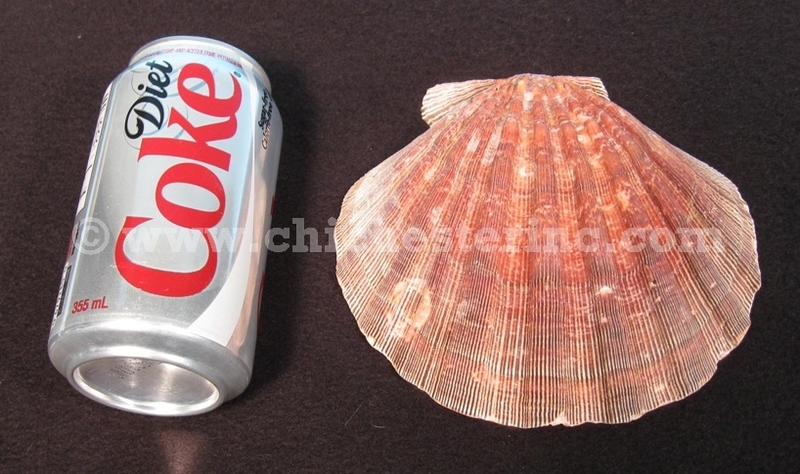 Each half shell weighs approximately 0.24 to 0.56 pounds each. Genus and species: Nodipecten subnodosus. Ranch. A U.S. Fish & Wildlife export permit is required for all exports outside of the U.S.